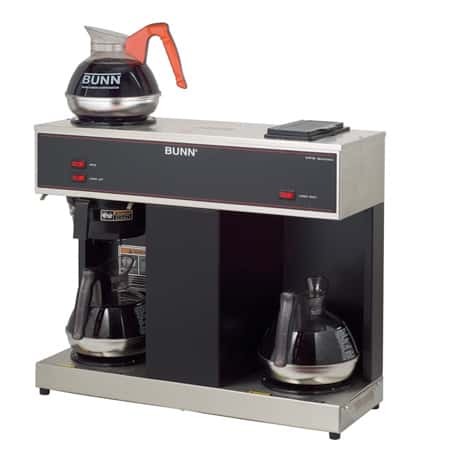 The BUNN FMD-5 Instant Cappuccino Machine is the largest standard instant cappuccino machine offered by BUNN. 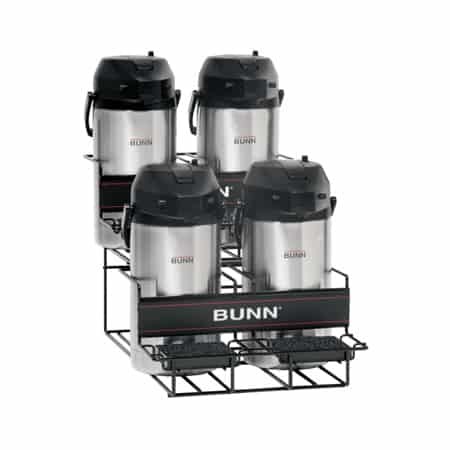 With 5 hoppers, you can offer 5 different flavors to your customers, meaning even the choosiest person will find a flavor they enjoy. This item qualifies for FREE SHIPPING. 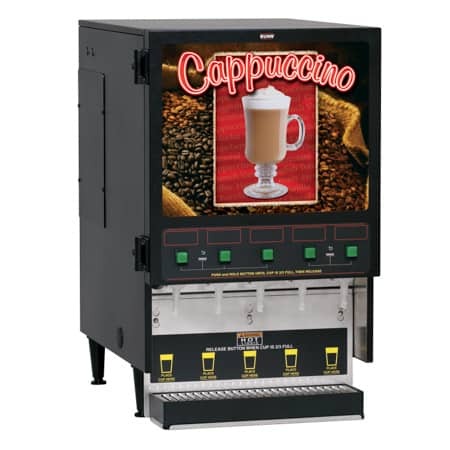 The BUNN FMD-5 Instant Cappuccino Machine 34900.0000 has 5 hoppers behind the front panel that can each hold 4 lbs of cappuccino mix. 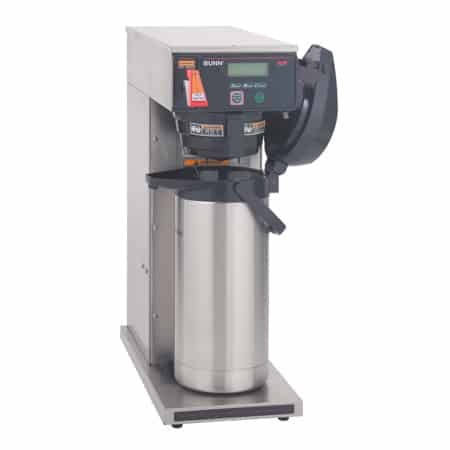 The large, 6.4 gallon hot water reservoir keeps plenty of water at the perfect temperature for mixing drinks in the whipping chamber. As with other BUNN products, quality parts and motors are used to ensure long life. 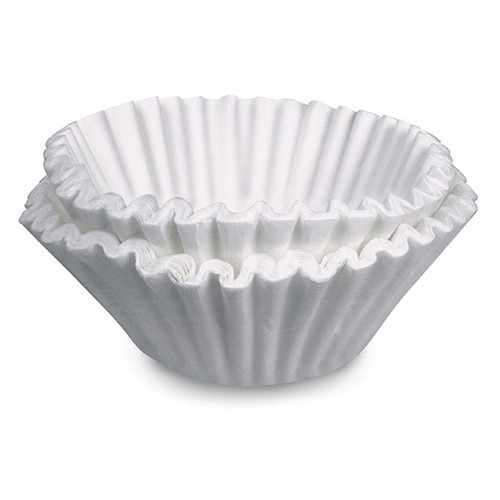 The FMD-5 will be dispensing hot instant cappuccino drinks for years to come. Clean-up and refilling hoppers with mix is easy. A rinse switch does most of the cleaning of the whipping chambers. The stainless steel drip tray catches most spills.